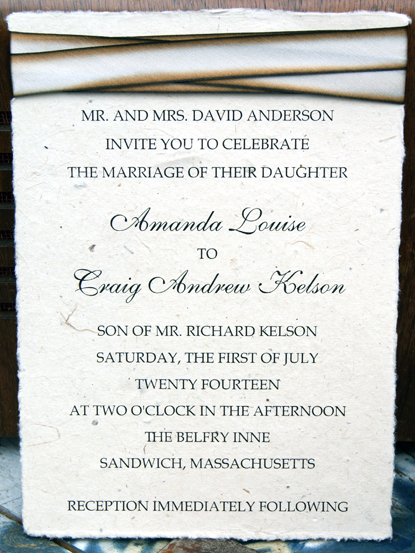 We are excited about our latest marriage of silk and paper. These invitations are so easy to make! We have always loved the silk bows that we assemble our invitations with but when faced with 250 invitations to make (and 250 silk bows to tie) it can be overwhelming if you are doing it at home. 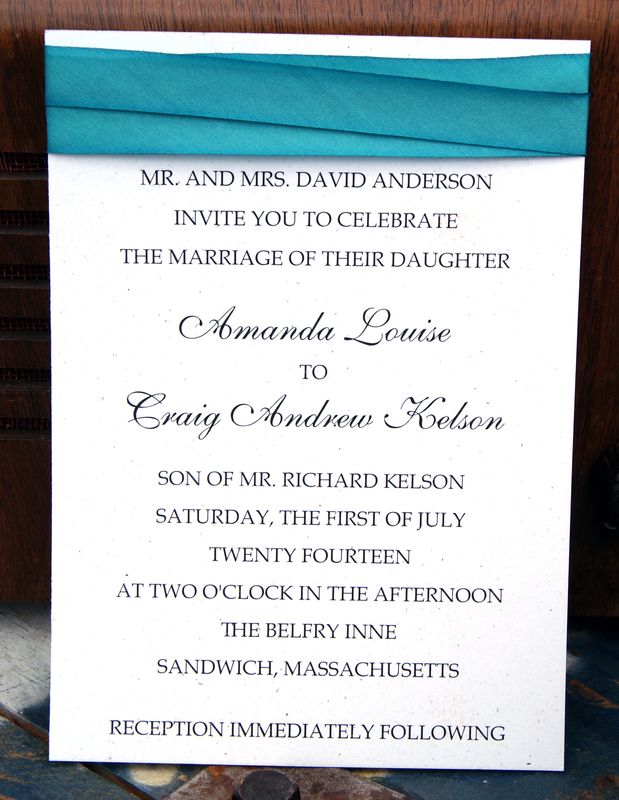 This style of invitation pairs our hand dyed silk and hand made papers in a way that can easily be done at home to save money for more important things (like cake). Just a small photo mounting square on the back side hides the seam. 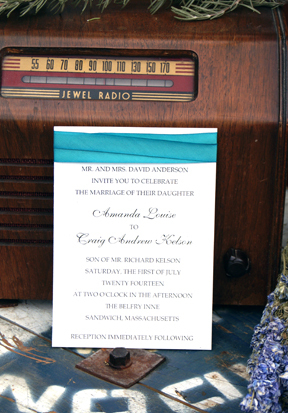 This invitation uses just one yard of silk. There are currently 144 colors both solids and blends that you can pick from in our Earth Silk line. You can order the printed invitation below for just $2.17 each and then add the silk ribbon shown for $0.76 to attach at home. 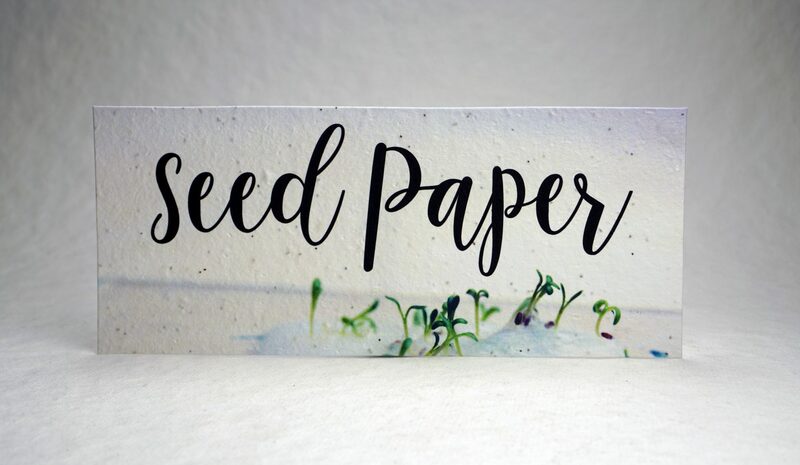 If the deckled edge look is not for you, you can order the printed invitation on our lotka seed paper for just $1.32 each if you order it with cut edges. Call us today if you want to know more. 1.888.294.1526. Oh my gosh! Those are great! How can I order them?